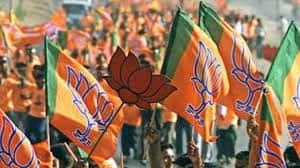 Jaipur BJP MP Ramcharan Bohra, who surpassed Prime Minister Narendra Modi’s record in getting the maximum number of votes in the 2014 Lok Sabha election, has failed to stand up to the expectations of the people of his adopted village – Bhapura in Sanganer district. He was the first MP to have received the highest number of votes across the country. Bhapura village was adopted by Bohra under the Adarsh ​​Gram Yojana and an investigation by Zee Media reveals that no development work has been carried out there in the last five years. Despite being provided with land by the people, Bohra has failed to construct a hospital in the village. He had also laid the foundation stone of the hospital, but still, the people have to travel 40 kilometres if there is a medical emergency. Moreover, there is lack of a proper education institution and neither do the people get safe drinking water. The transport system too is in a state of shambles. The bus services which were earlier available has now been stopped. While speaking to Zee Media, the villagers alleged that though Bohra has adopted the village, he has never visited the place.